Archeological excavations in Italy reveal presence of life that started over 200,000 years ago. This country has a very rich history: it was the leading Empire of the world, conquered by the Byzantine Emperor Justinian I, the Black Death pandemic started here. It is home to many genius writers, artists and painters. An entire family of languages is called Romance in honor of the Italian language. In short, Italy is the birth place of many things that we now consider the norm and think of as the setting standard for beauty and excellence. Much like other Southern European peoples, the people of Italy are passionate about their lives and their loved ones. 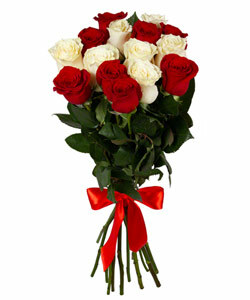 When you are thinking about the best gift possible for your mother’s birthday, father’s retirement, or girlfriend’s promotion, remember that if you send flowers to Italy , you will give them the best gift that anyone can give. Megaflowers has been the leading online florist since 2005 and for all these years we have been proving that we are the best in the business. We work directly with local flower growers in Italy, so your flowers are guaranteed to be the freshest and most vibrant. Why spend time by going to a flower shop and attempting to select a bouquet? Why spend time by running around stores, then going to the post office, and then hope that your gift is delivered on time? No matter what, the gift you send by post will likely not be delivered exactly on the date you’d like. Now think about this: when you send flowers to Italy , we guarantee that they will be delivered on the day and at the time that you request – not sooner or later. Imagine their surprise when they open their doors, the house is full with guests (only you couldn’t attend due to circumstances), and they all see a beautiful bouquet of red roses sprinkled with baby’s breath, or a colorful mix bouquet of yellow tulips and purple iris. Their love will be unending, emotions overflowing, and you are sure to become the hero of the party. 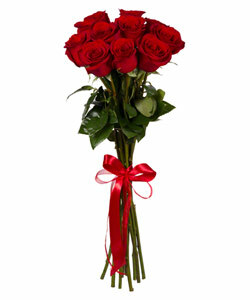 Order online today and tell them that you love them using the best language – the language of flowers.